Sisters Erin (13) and Shannon (15) Gallagher: the two Donegal girls took their own lives in recent months as a result of Erin being cyber-bullied through Ask.fm. THE CHILDREN’S MINISTER Frances Fitzgerald has admitted her concerns about the difficulties in regulating websites which are regularly used by Irish children who may be vulnerable to cyber-bullying. Fitzgerald’s comments come after she asked authorities in Latvia, where the popular site Ask.fm is based and hosted, to look into the “lack of safeguards” applied to the website, which is popular among teenage users in several countries, including Ireland. Ask.fm offers its users the ability to receive anonymous questions from other unregistered visitors to their pages, purportedly so they can exchange anonymous messages with their friends who may not wish to attach their names to discreet inquiries. However, the site can also be used to send abusive messages to its users, to devastating effect. 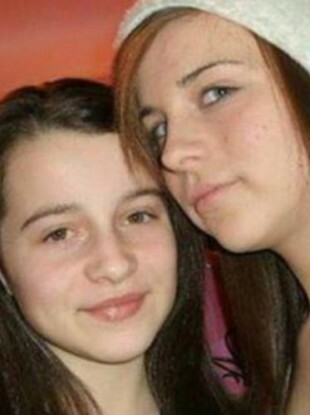 The site has been linked to the suicides of Donegal schoolgirl Erin Gallagher, 13, and Leitrim teen Ciara Pugsley, 15. Fitzgerald admitted, however, that it may be difficult to apply any method of regulation to Ask.fm, “given the global and open nature of the internet”. The founder of Ask.fm has previously told RTÉ that the abusive comments made by Irish users were not replicated by Ask.fm users from other countries, and suggested that Irish teenage culture was more at fault than the medium he provided himself. Mark Terebin told an Irish documentary maker that his site was “just a tool which helps people to communicate with each other – [the] same as any other social network, [the] same as [a] phone, [the] same as [a] piece of paper and [a] pen”. Responding to a parliamentary question from Fianna Fail’s Billy Kelleher, the minister said she had also met in recent weeks with Simon Millner, Facebook’s policy director for the UK and Ireland, to discuss features which can help children protect themselves against abuse through that website. “I was impressed with the child-focussed and user-friendly safeguards and supports which Facebook have put in place to protect children and respond to concerns over cyber-bullying and inappropriate online behaviour,” she said, adding that she had arranged meetings between Facebook and the National Anti-Bullying Forum. She admitted it was “a matter of concern”, however, that certain other websites popular among Irish teenagers do not include similar safeguards. Email “Fitzgerald concerned about difficulty of regulating cyberbullying sites”. Feedback on “Fitzgerald concerned about difficulty of regulating cyberbullying sites”.